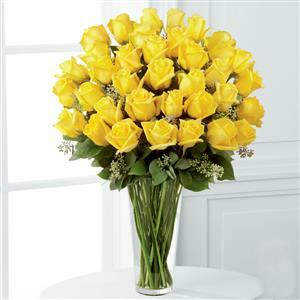 Send 36Pcs Yellow Rose In a Vase to Chennai. Gifts to Chennai. Send Flowers to Chennai.